And when it is not possible to accurately define their likely occurrences or magnitudes, it becomes desirable for the motor to have some in-built reserve capacity. To account for this, a factor, known as the ‘service factor’, is considered when selecting the size of the motor. Service factor’ in the range of 10-15% is considered adequate by practicing engineers. With this service factor, no more derating would normally be necessary. Service factor is a multiplier that is applied to the motor’s normal horsepower rating to indicate an increase in power output (or overload capacity) that the motor is capable of providing under certain conditions some of which are mentioned above. Any service factor greater than one 1.0 must be indicated on motor nameplate; in some case the running current at service factor loading is also indicated on the nameplate as service factor amperes or SFA. In the above description, it’s the “certain conditions” where problems may occur. The service factor is not intended as a general increase in the motor horsepower rating. In most cases, a 10 kW motor with 1.15 service factor should not be treated as an 11.5 kW motor and it is not considered acceptable for application to a pump or fan with this service factor to operate continuously at 11 kW. National Electrical Manufacturer’s Association (NEMA) standard for motors, NEMA MG-1, establishes the operating conditions required for proper performance and normal life expectancy of ac motors. Motors are designed to deliver their rated kW under voltage variation of 10% of rated and frequency variation of 5% of rated. The combined variation of voltage and frequency is limited to 10%.When operated under these limits, with shaft load at or less than rated, the motor current and winding temperature will remain within rated values, and normal motor life is expected. NEMA MG-1 also defines the limits for operation of an ac motor within the service factor range. First of these is that rated voltage and frequency must be maintained. Many facilities may experience occasional periods of low voltage during peak load periods. Under this condition a motor operating within its service factor rating may experience an unacceptable increase in current and temperature. The motor is permitted under the standard to operate at a 10 degrees C higher winding temperature rise under service factor load than under its normal rated load. As a rule of thumb life expectancy is halved for each 10 degree increase in operating temperature. Thus continuous operation at service factor load can be expected to a higher rate motor failure due to insulation breakdown. The increased load may also reduce bearing life. Relying on the service factor of motor under continuous duty operations would be unwise in most cases. The appropriate use of this rating is to handle short term or occasional overloads. It is suitable only where supply voltage is highly stable as in case of industrial premises having self generation units. Motor life expectancy is not a concern. The former category includes unbalanced supply voltages, Under Voltage, over voltage, under frequency, over frequency, single phasing and reverse phase conditions. The latter category includes the bearing failures, Internal Shunt faults, which are commonly earth faults and Over loads. The Protection applied to a particular machine depends on its size and the nature of load to which it is connected. The majority of the winding failures are either directly or Indirectly caused by over loading. (either prolonged or cyclic),operation on unbalanced supply or single phasing which all leads to the deterioration of the insulation until the electrical fault occurs in the winding. All motors will have a thermal with stand curves which indicates the thermal withstand time at various over load currents. The Heating of the machine is because of the thermal current which can be derived from the positive and negative sequence components of the Motor current as follows. Is = Negative sequence Component of the Input Current. It can be seen that the negative sequence plays proportionately more than positive sequence current in the heating of the machine. The relay should computes the positive and negative sequence components and calculate the thermal current. The ideal relay should calculate sequence component on the basis of vector calculation. 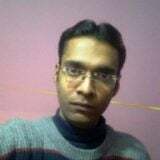 The thermal withstand time should be provided by manufacturer or alternatively calculated as per logarithmic formula. In most of the motor protection relay, Motor Full load current can be set from 10% to 150% of the rated current and the time Constant is selectable from 1 to 60 minutes depending on the motor Characteristics. Pre heating alarm can be set from 50% to 110% of the thermal condition of the machine. This will help to avoid the tripping of the motor in a continuously processing industry. There is a Restart inhibition Temperature level which ensures the next starting of the machine after the Motor cooled down to the safe temperature level. The ideal relay should provide protection against both starting and running locked rotor condition. In most of the relays the setting is selectable from 100% to 500% of the motor full load current. The trip time delay is selectable from 1 to 120 seconds. Additionally the relay can accept a speed switch contact from the field to detect the starting locked rotor condition. The relay is provided with a Negative sequence current element will provide protection of the motor from Current Unbalance due to voltage Unbalance, Single phasing and Phase reversals. The negative sequence level is settable from 10% to 80% of motor full load current. The trip time characteristics are inverse time characteristics. Motors need to be protected from excessive number of starts. This is because each time when a motor is getting started, the motor will see 3 to 6 times motor rated current for the duration of starting time, thus increasing the thermal status of motor considerably. These higher currents will cause the thermal stress in the winding, which leads to the winding failure. Ideal motor protection relay should have repeat start protection element. With the help of this protection element, the number of starts should be settable from 1 to 60 starts within 1 to 60 minutes. If the number starts exceeded the set value, the relay inhibits the next start for a set time. This time is called restart inhibition time, which is selectable from 1 to 60 minutes. This protection element will provide short circuit protection in the motor feeder. The trip time delay can be set as either instantaneous or time delayed. Ideal motor protection element is provided with the above element in which the pickup range is selectable from 1 to 5 times Ist. The delay is selectable from 0.05 to 1 second. It is to be noted that if the motor is provided with vacuum contactor in which the contactor cannot handle the short circuit current, this over current element need to be disabled. In such cases fuses provided in the power circuit will provide the short circuit protection. This element provides the protection against no load running of motors. The pickup level is selectable from 0.15 to 1Im and the trip time delay is adjustable. This element is disabled if the current is below 0.1 Im. This protection provides the isolation of motors incase of earth faults. This element can be connected in residual connection or by using a CBCT. Ideal motor protection relay is provided with an earth fault pick up setting of 2% to 100% and a delay setting of 0.05secs to 5secs. Third harmonic filter should be checked to avoid any mal operation because of unbalanced currents. It is to be noted that, in case of residual connection, if the earth fault element is provided with instantaneous protection, the earth fault element may cause unwanted operation during the starting of the motor. This is because of the unequal saturation characteristics of the CTs provided in the system. To avoid the above problem a stabilizing resistor need to be provided in the earth fault circuit. Apart from the above protections, having RTD and BTD input is optional feature. If RTD input is required than a PT100 device which is installed near the winding will increase its resistance when the temperature rises. It is to be noted that the PT100 device need to be calibrated above 1.5K ohm corresponding to the abnormal temperature. Starting current for Induction withstand for howmany times? If any standard is applicable for the same if yes please lete know. Thank you for your time on the motor write out. May I know if it will cause motor to breakdown if there is frequent start stop for blower as below? Can you pls share your opinion? Temperature of the motor when starting should be considered. If the motor is continuous duty and running for some time than a restart after tripping is basically hot start. Cold start is an initial start, after not having run for a relatively long period of time. 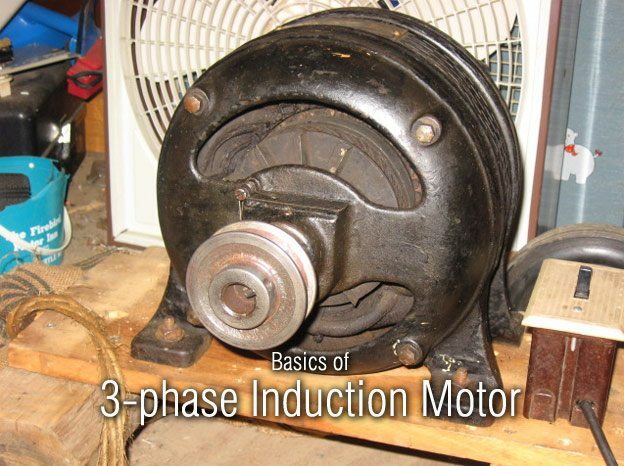 Now after running for some time motor may have reached maximum allowable temperature so when you restart, the motor will pull more current during starting than when they run, and if you start during that time the temperature may exceed the limit. How much time motor requires for getting cool down depends upon cooling time constant. A 250 kW motor has a cold thermal withstand time of 30 seconds and a hot thermal withstand time of 25 seconds. If the starting time is 7 seconds, determine the consecutive cold or hot starts that the motor will be able to sustain safely. From protection & control point of view there is always protection against repeated restarts. Also when motor gets tripped you cannot immediately restart as the lockout relay of the 11kV motor feeder will operate after operation of motor protection relay. That lock out relay needs to be reset (Most cases manually) after clearing of fault. In a hand-reset relay, after every trip the operator has to reset the relay manually before a restart of the motor. Thus provides an opportunity to the operator to investigate the causes of a trip and correct these, if possible, before a restart. In other case, the motor, without being subjected to an investigation, may restart on its own (when it is so wired). So from control & protection point of view immediate restart is not possible. if a HT(11kv) motor get tripped,can we start it immediately or should have to wait for some time? Please refer detail of thermal damage (hot) and check it with starting time of the the machine at present loading. If motor is very important in respect of its functionality in your system and you don’t want take risk, then restart it on reduced loading if possible. Does anyone know where I can find a blank “Cause of Action-Motor Vehicle Form” to fill out?